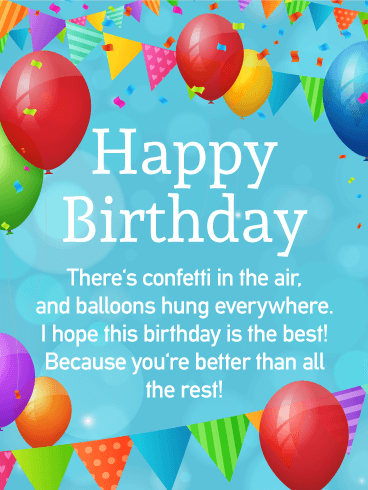 Happy Birthday - There's confetti in the air, and balloons hung everywhere. I hope this birthday is the best! Because you're better than all the rest! This less-than-enthusiastic dog adds such a unique element to this birthday card. Look at those sleepy eyes and giant, floppy ears! The verbiage is what sets this birthday card apart, saying, "In my head" as a joke. This is a great pick for the dog lover in your life, or for someone who, like this dog, isn't so great at showing how they feel! 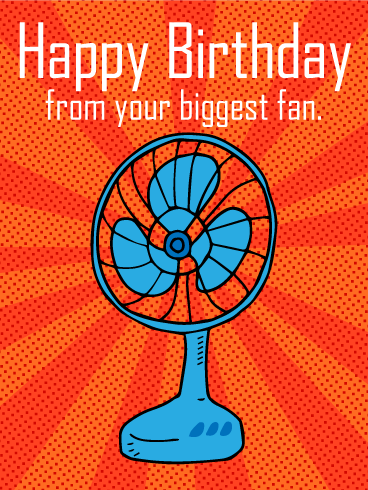 This birthday card is definitely tailored to the older crowd, and it's sure to be a hit! It's both funny and motivational, without being too busy and over the top. 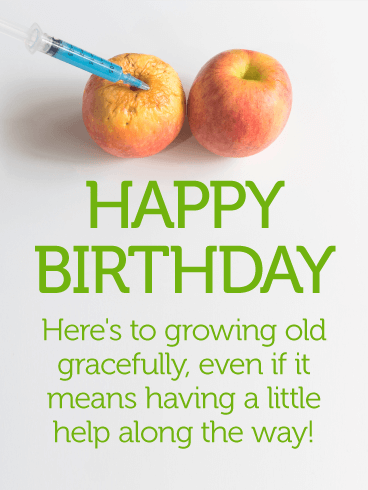 The colors of the birthday card are simple, and the picture of the apple being improved is both humorous and supportive. For the person in your life who's just a tad self-conscious about getting older, don't hesitate to choose this birthday card. Do you have a loved one who loves puns? Do they have a birthday coming up? 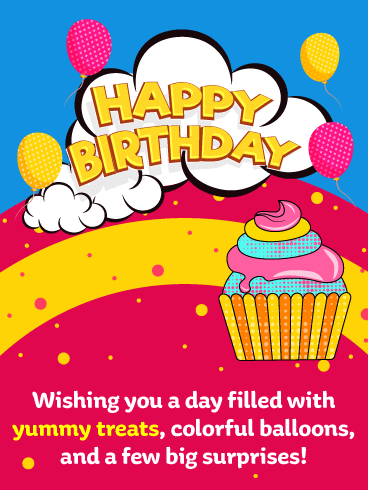 Then send this funny Happy Birthday card to celebrate their special day! 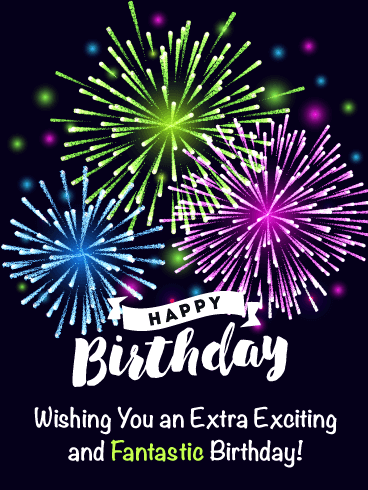 Everyone deserves love from their biggest fans, so make sure this birthday is full of fun and special memories for your favorite person! 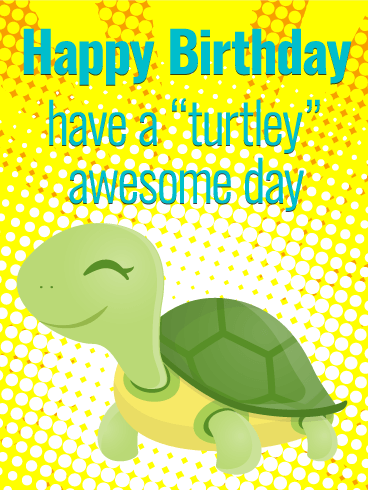 Use this Happy Birthday card to shower your friend or family member with love on their special day! 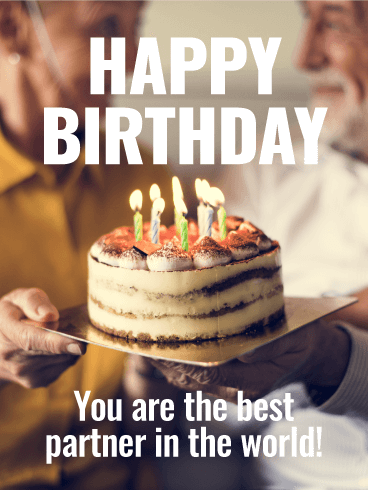 With age comes wisdom, so honor the life and wisdom of your older loved ones by sending this Happy Birthday card to celebrate. You learn so much from the older generation and cherish the life they share with you, but now it's time to share with them. 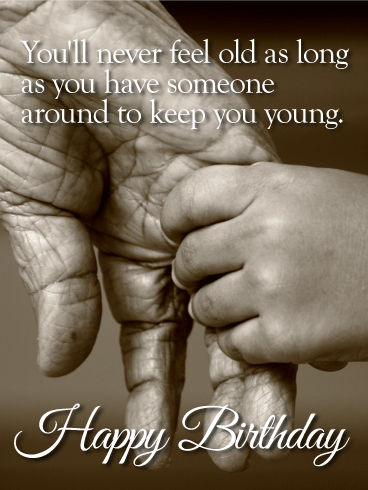 Help keep your loved ones young by giving them a Happy Birthday card that will touch their hearts on their special day. 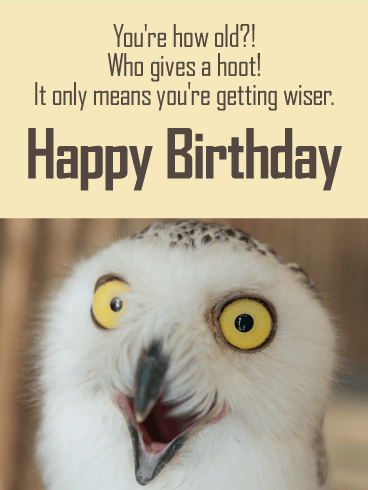 At first glance, a birthday card with an owl might not seem like a fun choice, but, once you read the wording, it all makes sense-and makes you laugh! The "hoot" pun is definitely sure to garner a chuckle, and the joke about getting wiser fits in perfectly with the owl theme. 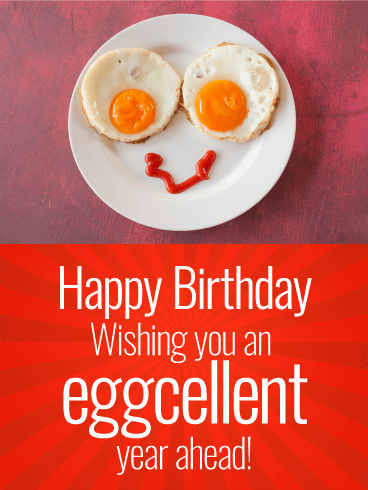 The soft yellow of the background really ties the birthday card together, creating a great balance of humor and simplicity. 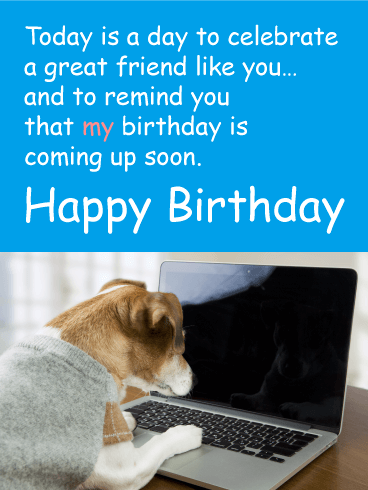 Do you have a friend or family member who has a birthday coming up? 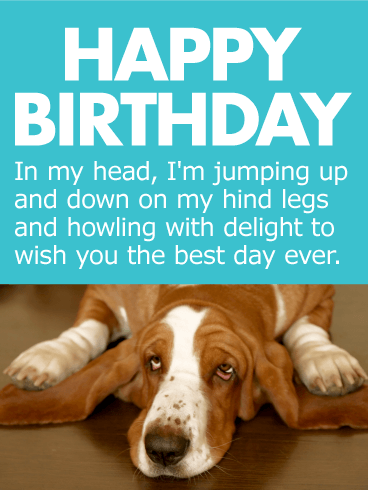 Then celebrate their special day with this hilarious Happy Birthday card! 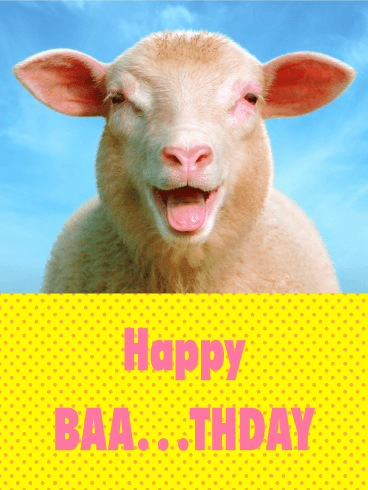 The silly sheep and funny birthday message will help make this a day they will never forget. Include a few sweet words that show your loved one how much they mean to you and how glad you are to know them! In the foreground: an elegant but charmingly homemade cake with layers of chocolate and bright candles. In the background, a couple is smiling at each other. Text lets your partner know that there's no one else in the world for you! Celebrate your partner's birthday with this intimate expression of love and domesticity.